1) What is Accent Freedom®? Accent Freedom® is an in-depth accent reduction (sometimes called accent modification or accent neutralization) software package. It was designed for individuals who speak English as their second language who wish to speak more efficiently and effectively in English by reducing their accents. Please note that this is not an ESL (English as a Second Language) curriculum that teaches vocabulary and grammar; it was written for professionals who already speak English at a moderate to advanced conversational level to improve their Standard American English pronunciation. The platform can be used as Self-Study or Instructor-Led. 2) I have already taken ESL (English as a Second Language) classes. What is the difference between the Accent Freedom software and ESL classes? ESL classes teach English vocabulary and grammar. Accent Freedom is not an ESL school and does not teach vocabulary and grammar. Accent Freedom goes beyond the content of ESL classes and focuses upon English pronunciation so you can be understood the first time you say something! For these reasons, Accent Freedom users are encouraged to have a moderate to advanced comprehension of English prior to signing up. 3) Who can benefit from using Accent Freedom? Non-native English speakers from all professions and language backgrounds can benefit from this program. Due to the online platform, there are no geographic limitations to use this program and/or take part in this training. Professionals living in all parts of the world can take advantage of this helpful too whether you choose self-study or instructor-led. 4) Does everyone who speaks English as a second language (ESL) need to change their accent? Definitely not! Some accents are even professionally beneficial. Accents are only a problem when the speaker is frustrated by frequently being asked to repeat, the accent interferes with communication in the workplace, or if more attention is paid to HOW something is said versus WHAT is said. 5) How much time do I need to practice? As with learning anything new, “practice makes perfect!” The more you practice, the more benefits you will receive. We recommend that you practice for one hour per day. Practicing can be broken into smaller time frames such as 30 minutes in the morning, 15 minutes over lunch, and 15 minutes in the evening. Remember, you will get out of the program what you put into it! 6) What is a “language specific” course? Language specific courses are courses that are tailored to speakers of a specific native language. For example, native Spanish speakers would have very different problem areas than a native Mandarin speaker. Streamlining your practice so you work on only the lessons that are pertinent to your particular needs saves you time. 7) What languages are offered in the self-study language specific courses? We are adding languages all the time, but currently the languages offered are Arabic, Cantonese, English, French, German, Hindi, Japanese, Korean, Mandarin, Portuguese, Russian, Spanish, Tagalog, Taiwanese, Tamil, and Telugu. 8) What if my native language is not listed in the self-study language list? If your specific language is not listed, you have a few options. You can either pick a language that would be most similar to your native language or you can choose “other” (a course containing lessons that target areas of difficulty for most non-native speakers.) You might also want to consider our Instructor-led courses where you would receive a personal speech analysis so the lessons would be personalized just for your personal needs. 9) What does “other” mean in the self-study language list? “Other” is a course containing lessons that target areas of difficulty for most non-native speakers. 10) What is the difference between Self-Study and Guided Self-Study? Self -Study students have access to language specific lessons and can play audios and record words/sentences on the website to compare to the instructor’s pronunciation. Guided Self-Study students also have the previously mentioned capabilities and but are also allowed to upload a limited number of audios to their instructor for feedback on their progress. 11) What can I expect when I purchase a one hour individual session with an instructor? These individual sessions take place through Skype or other internet based communication service. Your instructor will give you feedback on your overall speech intelligibility and point out specific pattern errors that should be addressed to make the biggest impact on improving your speech. You will have a chance to ask questions and to review problem areas where you need additional help. 12) Can I access the Accent Freedom software on my tablet or mobile phone? Yes, this software can be accessed on your tablet or mobile phone, however, all features (including the recording / playback feature) may not be optimized with browsers other than the latest versions of Google Chrome or Mozilla Firefox. 13) I have requested an invitation to reset my password but I did not receive an e-mail. First, check your junk mail box to see if the e-mail is there. Second, as some people have more than one e-mail address, ensure that you are entering the same e-mail address in the request that you used to sign up for the program. Third, check for typos in the e-mail address that you entered. 14) What equipment is required to utilize the Accent Freedom® software? 15) I am interested in licensing the Accent Freedom® software for my company’s use. How do I get started? We would be happy to discuss your company’s needs! Please contact us for more information! 16) I am a speech professional who would like to use the Accent Freedom® software with my own clients. How do I get started? We would be happy to assist you! Please contact us for more information! 17) Does the Accent Freedom software utilize speech recognition technology? Accent Freedom does not utilize this technology. Although recognizing a unique user’s pronunciation is a huge benefit in situations such as phone use and dictation, it is not as useful in perfecting pronunciation. Voice recognition software is designed to accept answers that are not pronounced 100% correct as it acclimates to the user’s specific speech patterns. Speech recognition software does not specify to the user where their problem areas occur. Accent reduction training, on the other hand, determines areas where the user’s speech deviates from Standard American English so these areas can be addressed. 18) Why should I choose Accent Freedom over other accent reduction training software? 1) Extremely professional software – from the design to the vocabulary used in the lessons. No childish images or cartoons. 2) Extensive and in-depth program with over 5,000 embedded audios and 330 lessons. 3) Language specific courses available for self-study options which saves the user valuable time by only focusing upon lessons that are pertinent to their language background. 4) Easy to follow lessons in a progressive format each building upon previous lessons. 5) Ability to record on the software and then compare production to the instructor’s pronunciation. 8) Five to six lessons per consonant and vowel sound in an easy to follow progression: a) Description of the sound, how to make the sound, common mistakes, tips/tricks, b) contrastive listening (you need to hear the difference before you can say the difference), c) recorded single words with the target sound, d) additional single words without the aid of instructor recording, e) sentences that are phonetically loaded with the target sound, and f) contrastive sentences (both the wrong word and the target word in the same sentence). 9) Other speech professionals have the ability to use Accent Freedom with their own clientele. 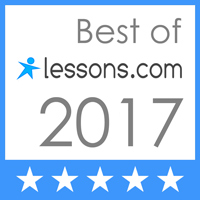 Personalized instructor area where instructor stores their own clients’ information and are able to assign specific courses and lessons, as well as listen (and provide feedback) to audios submitted by their clients. 10) Licensing agreements available to corporations. 12) Developed by a seasoned accent reduction specialist who is a native English speaker and holds a master’s degree in speech/language pathology. Content Copyright © 2017 by Speech Advantage® LLC | All rights reserved. Speech Advantage® & Accent Freedom® are Registered Trademarks of Speech Advantage LLC.